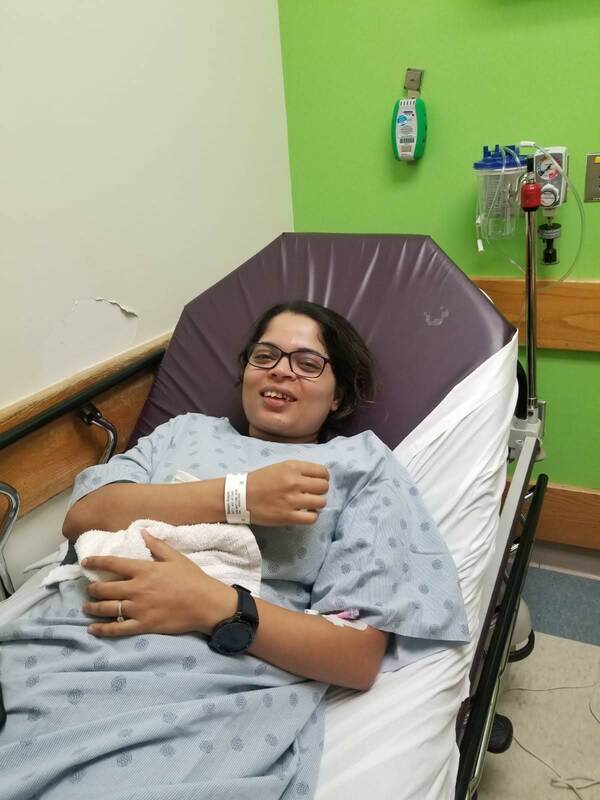 Anagha at the ER holding the towel she mentioned like a little security blanket. 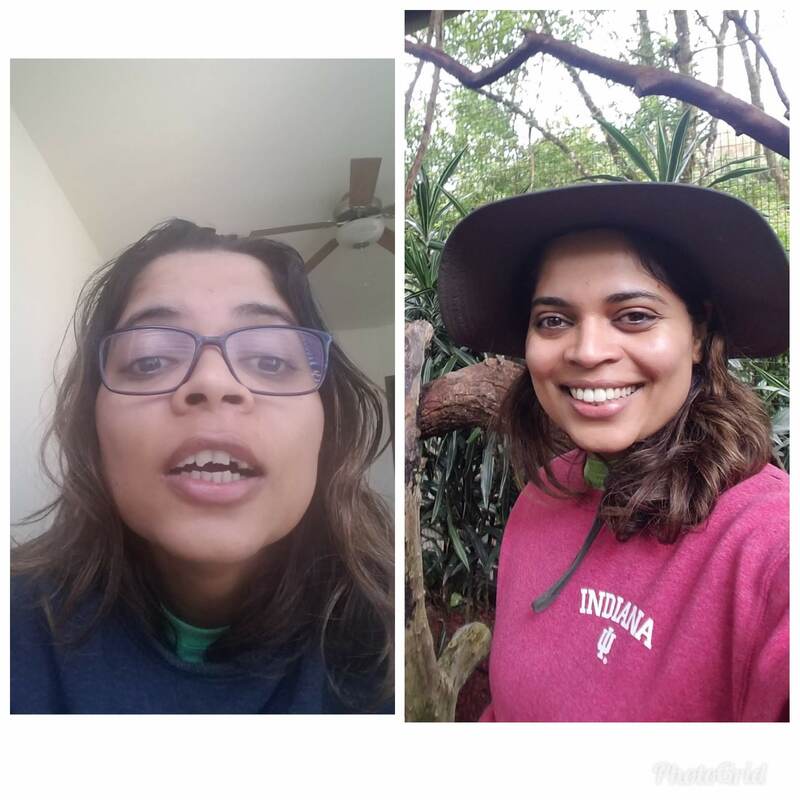 Anagha's teeth before and after. 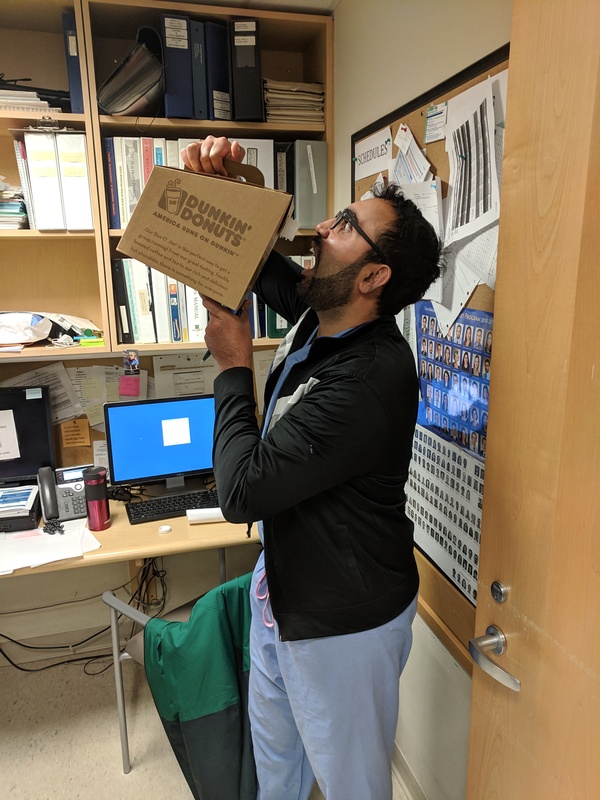 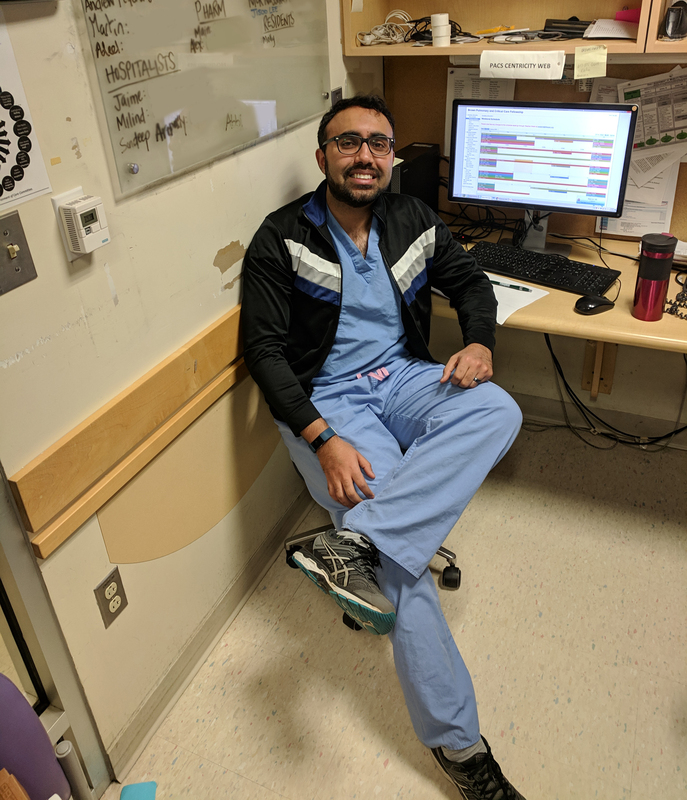 Zeeshan combating late nights and busy shifts.